Sciatica is a fairly common spinal condition that refers to inflammation or compression of the sciatic nerve. The sciatic nerve is the longest nerve in the body, beginning in the lower back and extending down the length of the leg. Individuals with sciatica may experience pain, numbness, and/or tingling at any part of the nerve or down the entire length of the leg and into the foot.The pain due to sciatic nerve irritation is often fleeting and well-managed by a variety of conservative therapies. For some individuals, however, sciatica can become a chronic and debilitating source of pain. Several minimally invasive procedures, including laser spine surgery and microsurgery, can be used to decompress the area around the sciatic nerve and provide lasting relief. The team at ProMedSPINE is comprised of board-certified neurosurgeons who specialize in orthopedic and neurological spine surgery. Each of our expert back doctors takes pride in offering the most sophisticated technology and cutting-edge minimally invasive spine procedures to provide the highest quality of care for his patients. To learn more about our comprehensive treatment approach to sciatic pain, or to schedule an initial consultation, please call 888-75-SPINE. If you would like to know more about sciatica treatment options and pain management, please visit the sciatica page on Spine-Health.com. What Causes Radicular Nerve Pain? Herniated (bulging) discs account for the majority of sciatica cases. When a spinal disc is weakened as a result of aging, strain from heavy lifting, poor posture, or obesity, it can bulge out from between the vertebrae and press against the sciatic nerve. Another common cause of sciatica is spinal stenosis, in which the spinal canal or space from which nerves exit the spine (foramen) becomes narrowed and compresses the sciatic nerve. Stenosis may be result of age-related settling of the spine or traumatic injury to the lower back. Some patients suffer from extended periods of sciatica or radicular pain that does not respond to conservative measures. In this case, surgery may be used to resolve the underlying compression of the sciatic nerve within the spine. Minimally invasive sciatica treatments are typically performed under local or spinal anesthesia on an outpatient basis. Our team’s expertise in the latest minimally invasive surgical procedures translates to substantial benefits for out patients, including an expedited recovery time, less blood loss, low risk of infection, increased post-surgery mobility, and minimal incisions and scarring. ProMedSPINE is a Los Angeles-based practice dedicated to state-of-the-art, comprehensive, individualize care for diseases and conditions of the spine. 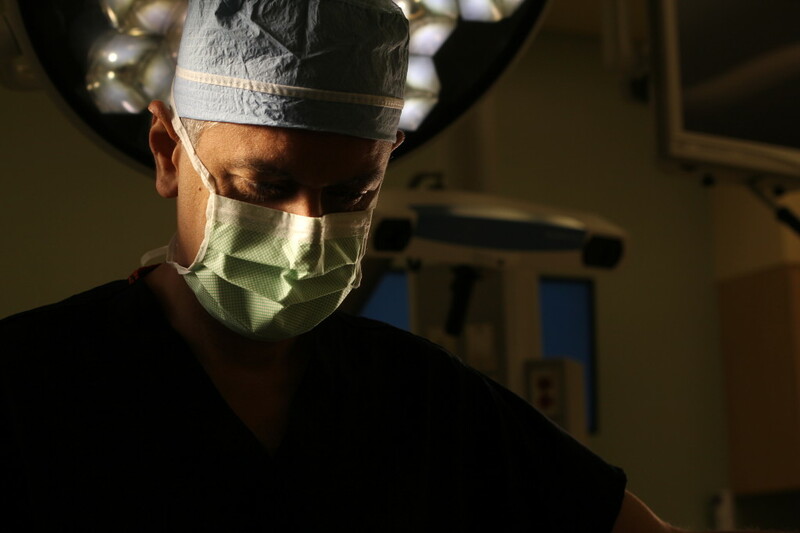 Led by renowned neurosurgeon and leading expert in minimally invasive spine surgery, Todd Gravori, MD, we offer the most advanced and effective treatment options available to relieve chronic pain associated with spinal degeneration or injury. To learn more about sciatica relief or to schedule an initial consultation, please call 888-75-SPINE or fill out our online contact form. Next, learn about spinal trauma.